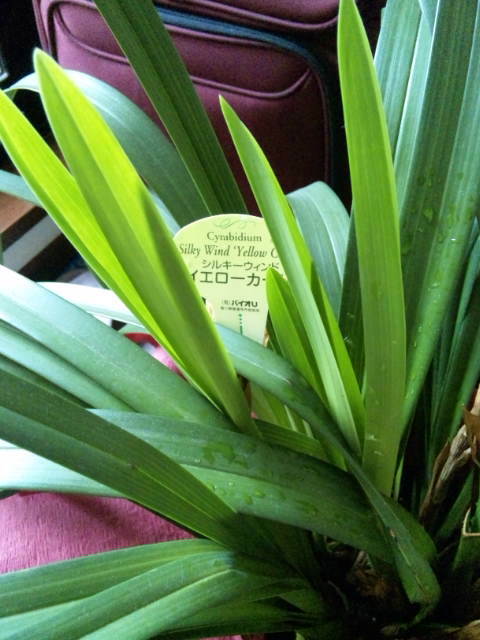 On the last stage, one of “sister” students under Master Mei-Shu’s wing gave Mei-Shun a pot of gorgeous cymbidium. Young leaves came out in June, so bloom in autumn has been expected. However, they started to get black at ends these days … caused by a wrong care?